In today’s business environment, knowledge and data is power. They are the backbone of organizations. They impact what we do on a daily basis, how we interact with our clients and how we develop new initiatives to help us grow. However, we also live in a world where a power outage can hobble our organizations. Where natural disasters and major incidents can destroy our data and where a system failure can be catastrophic that is why Data Backup Software is critical to businesses of every size. Can one solution protect your physical and virtual environments – or will you need to invest in and manage a variety of software? Does the solution fit into your current storage infrastructure – or will it require an upgrade/change? If so, is it worth the time and expense? 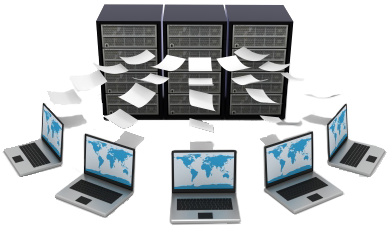 Does the software leverage deduplication technology? If so, does it dedupe at the source, the target or both? And is the technology compatible with your current encryption strategy? Will the data backup software backup allow you to achieve granularity at the file, folder and database level without requiring multiple steps? Can the software perform a bare metal restore? Does the company providing the data backup software have the support capabilities to provide you with the help you need, when you need it? Is deployment and management of the software virtually seamless – or will it require regular attention or extra care? If so, does your organization currently have the resources available to manage it? In addition, the availability of legacy backups can hinder some companies from moving to a new Data Backup Software Solution. So talk to your sales representative about whether your organization’s legacy backups will still be available, or if you’ll need to use two backup systems in order to keep the files and maintain legal or regulatory compliance.